We just passed the full moon of May, which was on May 29, 2018. I would like to share with you the meaning of the degree of that moon. It was on eight degrees Sagittarius. This degree means that within the core of Earth new elements are being formed. This alchemical fire will purify and transform the Earth. In other words, Mother Earth is giving birth to new elements that are on a new frequency. When I realized that new elements were being formed from the core of Earth, I thought about how the Hawaiian volcano is erupting and creating new elements. That volcano is on 19.4 degrees. The greatest power point on Earth is 19.5 degrees. This point connects with all of the other planets in our solar system. This means that the energy from this Hawaiian volcano opened doorways to other planets in our solar system. We are now connected to the whole solar system and will be able to connect with other dimensions such as the 5th to the 13thdimension. My understanding is that our sun manifests the energy of the 13th dimension. We are now living on a higher frequency Earth. This means that we need to learn how to create from a higher frequency. Most of us have been creating from our subconscious minds and then we wonder why our creations do not manifest. Look at what you have held in your subconscious mind for a very long time. You have created from your poor me energy such as; I’m not good enough, I don’t deserve to have what I choose to manifest, and so forth. I know that I have been working for years to release that energy from my body, mind, and emotions. From now on I am going to create from my higher consciousness or heart energy. I also choose to look at life from a whole new perspective. I received an email the other day containing a script from a channeling by Kryon of magnetic service. It is an awesome channeling and has new information in it that I really enjoyed. I knew about our Akashic records although I had never thought about addressing that part of me and cleaning it from all negative thoughts. The Akash belongs to an older energy and needs to be cleaned so we can take our power back and be in charge of our own lives instead of our subconscious mind controlling us. Then we can create what we choose to experience instead of what our subconscious mind thinks we should experience. 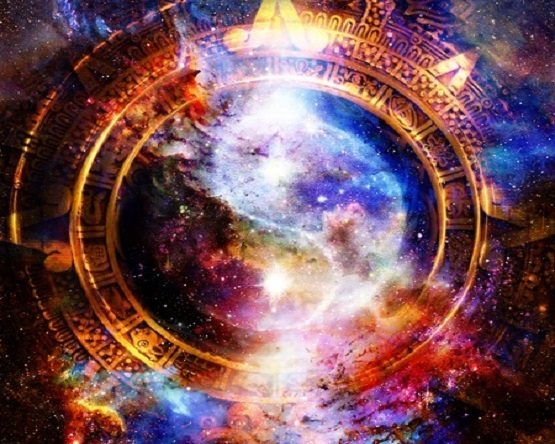 When we start manifesting higher frequency energy we will no longer be controlled by our Astrology chart because the planets have all changed. All of the planets in our solar system are vibrating on a new frequency. Saturn no longer controls the Earth and the people on it because the good ETs destroyed all of the equipment the dark side put on that planet to control us. The ETs also destroyed the big machine that was on the moon that was a broadcasting station from Saturn. This caused a lot of people to become very disturbed during the full moon period. That machine is gone so we can now enjoy the energy of the beautiful full moons. We are now free; all we have to do is to start claiming our freedom. Mars was hit by a comet a couple of years ago and its energy completely changed from war and violence to peace. Now it is up to us to create the peace we choose to experience. Let there be peace on Earth and let it begin with me. I know that many people have been on a fast-speed track for the past couple of years to release all of their anger and fear. Fear, which adds up to the number three is the same energy that we receive from the past Karmic planet named Saturn. That planet now brings us rewards for work well done. Anger, which adds up to the number nine is the opposite energy of the word love. Release all of your anger and you will automatically manifest love because that is how it works. The planets have changed so let’s start manifesting their higher frequency energy. Saturn can become the planet who brings us gifts. Mars can be the one who brings us peace and love, Pluto can transform us into light. We can now become great creators of what we choose to experience and enjoy life to its fullest. Pluto will be crossing the Ecliptic from North to South in July of 2018. This is a big deal. The last time Pluto crossed the Ecliptic from South to North was in September of 1930. To me this means that Pluto has been dominant on Earth since 1930. Pluto is considered the God of the Underworld and negative in nature because of its desire to control everything. Pluto is also considered the transformer and is in Capricorn right now and it is very obvious that it has been transforming our government here in the United States and many other governments in the last 7 years or so. There will be a partial eclipse of the sun on July 13, 2018. The sun will be on 20 degrees Cancer and this is the degree of happiness. Everything plays its part, and on this degree man experiences social happiness and a sense of fulfillment. It appears like we are going to start feeling happy so the energy from Pluto will probably become less dominant as it crosses the Ecliptic. I think life is meant to be happy. Be grateful for all you have and give thanks every day for your blessings. Walk softly on this beautiful planet because the energy of love is soft and gentle. Think how nice this planet would be if everyone just forgot about their problems and started enjoying life. Written in love and light by Mahala Gayle – A Galactic communicator from The Pleiades Star System. We are still doing Edgar Cayce Past Life readings for a donation. My son Dave is the one who does these readings and I really appreciate that. He also does the work on my web site. If having one of these readings appeals to you just listen to the short video he put on my blog Help understanding the Pastlife Reports there are also three sample charts for you to look at to see what they are like. This entry was posted in Uncategorized and tagged Enjoy life!, higher frequency Earth, love, Mahala, manifesting higher frequency energy, we are now free. Bookmark the permalink.